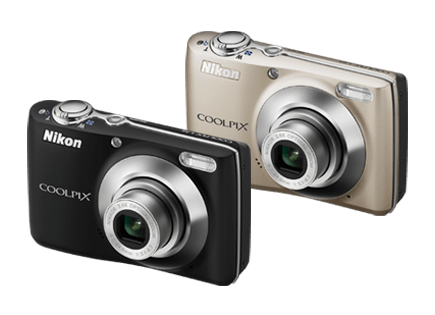 Nikon's digital cameras are stylish, compact and easy to use. The choice of professionals and enthusiasts alike, they'll help you capture incredible images of every precious moment. 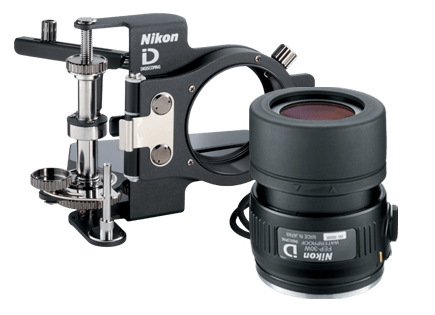 The Nikon digiscoping system employs a "collimate shooting method," which means that the digital camera is set just behind the Fieldscope's eyepiece to capture the observed image. 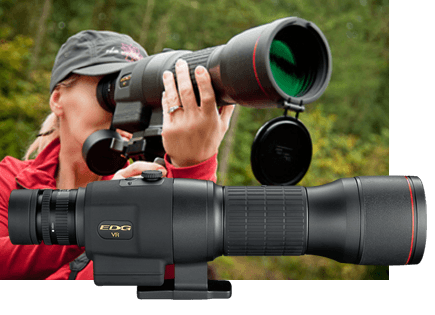 In this method, the shooting focal length is a product of the Fieldscope's magnification and the digital camera's 35mm format equivalent focal length, thereby allowing super-telephoto (close-up) shooting. 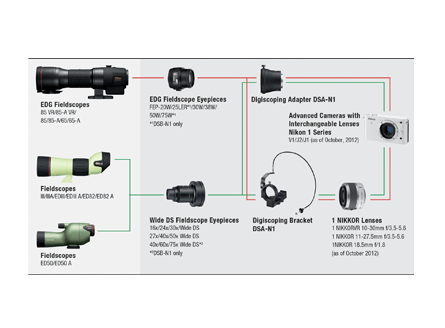 There are a variety of brackets and attachments available to connect a Nikon Fieldscope eyepiece to a digital camera, making it a breeze to take super-telephoto shots. 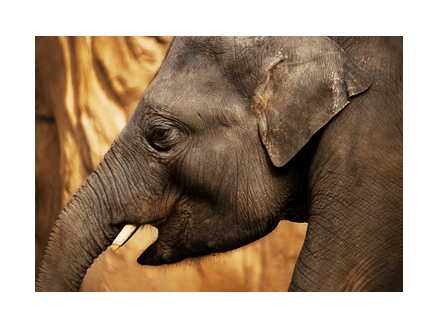 The equipment you need depends on what kind of pictures you want to take. Set up an easy-to-handle system that best suits your needs, whether it is primarily for viewing or for taking pictures. 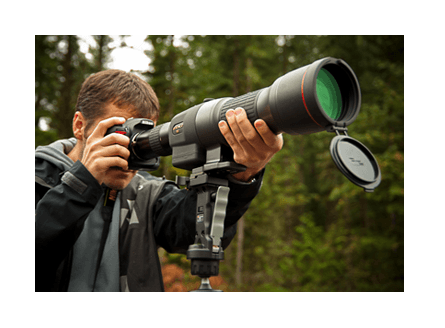 You will need a fieldscope, eyepieces, a bracket/attachment and a digital camera. Whether you are setting up a system based around your current equipment or purchasing new equipment, we recommend that you give considerable thought to your set up. You can take close-up pictures from locations even more distant than normally possible with regular telephoto shooting using an SLR camera. Amazingly enough, super-telephoto shooting is possible, allowing you to easily capture close-up images of timid birds, animals and other difficult-to-approach subjects.